Best-in-class ERP solution to enhance your business! Realize the full benefits of SAP Business One and drive your business forward in no time with the help of faster implementation services that involves less downtime. Improve your decision making process with the use of real-time data analytics which eventually will boost up your sales and profitability with SAP Business One ERP & HANA. 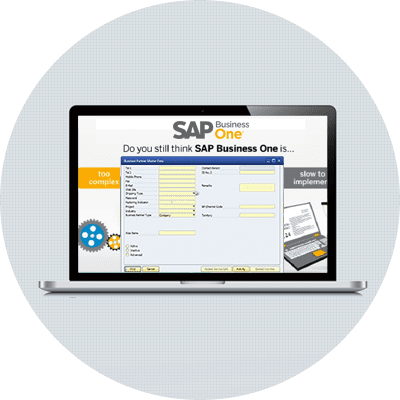 SAP Business One is simple as well as affordable. Moreover, it can anytime cater to the needs of the business that grows in size and level of complexity. Are you a fast growing business, but still relying on excel reports & multiple systems to manage your day to day operations? Well, it’s time for you to move on to SAP Business One ERP. This ERP is an end-to-end solution with the integrated business modules which reduces data redundancy. Furthermore, it is very much affordable, user friendly as well as requires less maintenance cost. SAP Business One will help you gain competitive advantage which ultimately leads to business outperformance. Hence, run your growing business on the most trusted, secure and complete ERP system in the world. Experience a better future with SAP Business One, known to be the world’s best ERP for Small & Medium Enterprises. 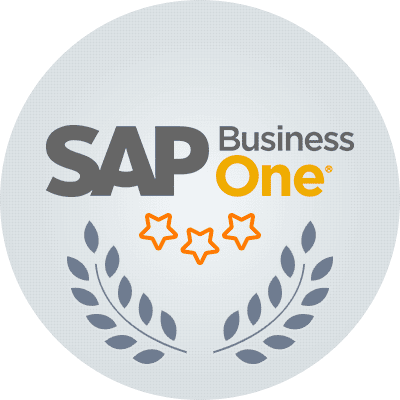 Tens of thousands of small and medium enterprises across the globe manage their businesses worth billions of dollars with the help of SAP Business One. Today, ERP not only serves large businesses but also helps in the growth of small and medium enterprises worldwide. SMEs can turn more efficient as it can ignore paper based systems as well as excel spreadsheets and move towards automation. Every ERP is built based on the industry best practices which helps the business to standardize their own processes. Are you in need of a solution that comprises all your essential business function from accounting and sales to purchasing and inventory? As a leading integrator and innovator, eNoah offers solutions to private and public sectors. We have a successful track record in integrating various best-of-breed systems, solutions, and technologies with SAP. eNoah delivers SAP’s end to end seamless solutions in a consultative value-adding manner retaining focus on customer’s KPIs while addressing business pain-points. eNoah works across the entire SAP software stack to deliver innovative, cost-optimizing solutions tailored to your business. 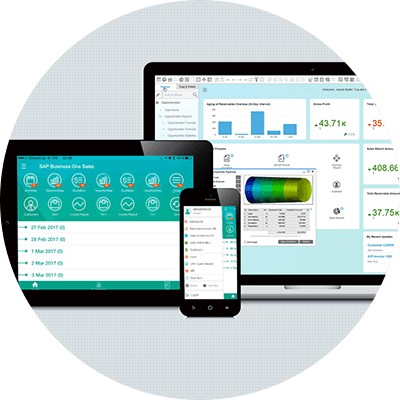 Solutions cover every functional area from core ERP, supply chain management, supplier relationship management, and customer relationship management through to enterprise performance management, governance, compliance and risk management. Talk to our SAP Business One Expert to know more about our offering, Request a Callback!